BMW Luxury Touring Community > BMW Bikes > Other K-Bikes Discussion > Bent valves? 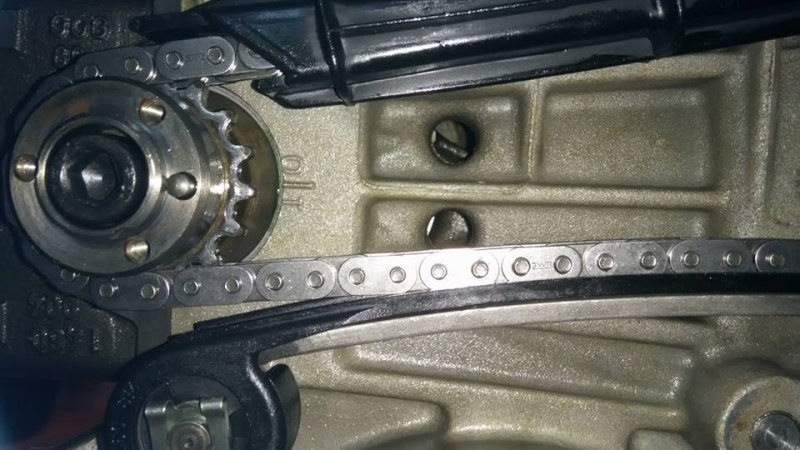 My K100 RT had a loud cam chain noise when I first started it. Till one day it didn't start. The bike has been sitting for 3 or 4 years I replaced the cam chain lift arm above the tensioner which was broken. 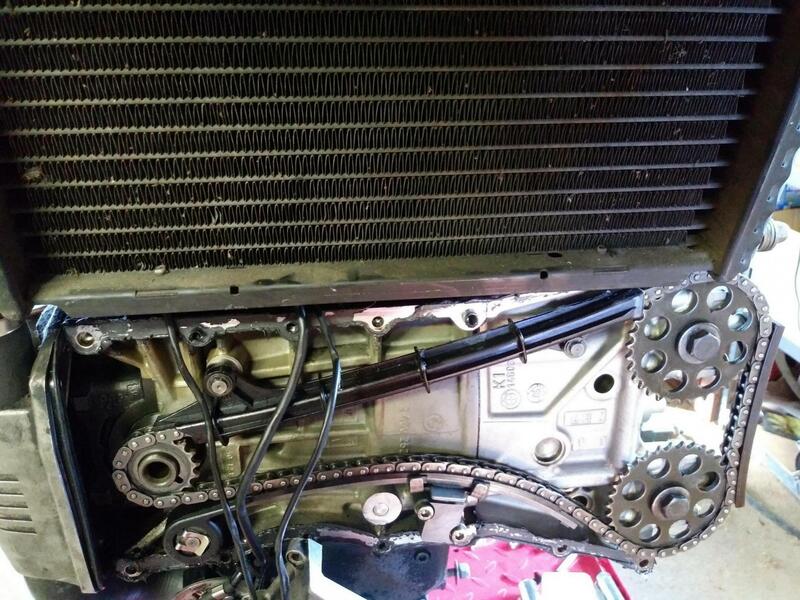 I believe I have the crankshaft and cams aligned properly ( see picture) the engine is not moving freely. Is it possible I have a bent valve or two. Quickest way to tell is to remove the cams and apply air to each cylinder - if you get a lot of noise you have bent valves. But a quick check of valve clearances will also tell you if you have a bent valve as the clearance would be excessive. 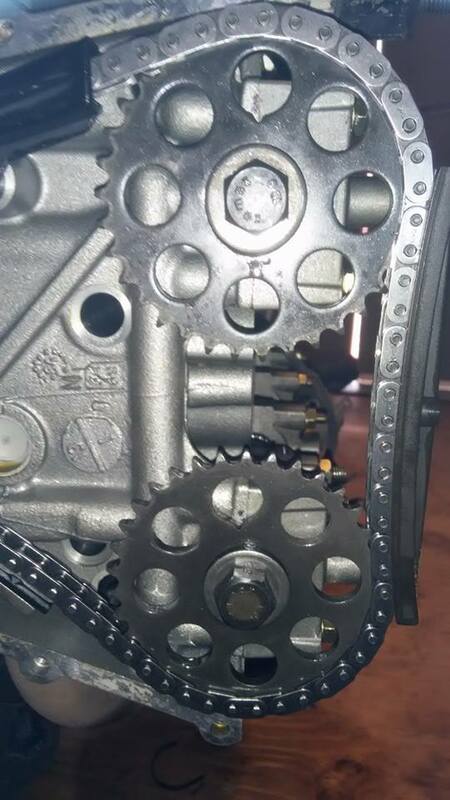 I don't know about the K100 but the K1200 has a valve timing set up where the #1 piston is at TDC the mark on the crank gear it towards the cylinder head and the cams have their slots at the rear lined up and pointing out from the cylinder head. Then install the chain and cam gears. Good Luck. You may not have them set correctly as I can see some slack in the chain between the cam gears and it should be tight here. I found these shots on the K100 forum they show you are close, but you don't have the front part of the crank installed with the pin. I assume it lines up with the key way. Last edited by jzeiler; Jul 16th, 2018 at 6:46 pm.